If you want to turbo charge your social media marketing campaigns, you can’t just stop at your official accounts. You can’t simply use a fixed number of accounts and get these to pump traffic down to your target website. That’s not going to cut it. If you genuinely want to achieve excellent results with your social media marketing campaigns, you should consider expanding the amount of social media accounts you use to generate both traffic and influence on many different platforms. Whether we’re talking about Instagram, Twitter, Pinterest, Facebook, YouTube or Google Plus and other platforms, you need to build a very robust and extensive network. This turbocharges the results that you get both in terms of direct traffic and social media influence. Just how do you achieve this? Look for these seven factors when expanding your social media account network through purchases. Marketers often switch from one niche to another. If you have a niche that is relatively specific, it probably is a bad idea to buy an account that is hardwired to another niche. This is why it’s crucial for you to buy only accounts that are flexible in terms of niche concentration. Put simply, you can quickly re-purpose them to the specific niches that you are buying them for. You might want to steer clear of accounts, which are so precise to specific topic categories that it would really look weird for these accounts to start promoting the niche you’re targeting. High-quality social media accounts have great branding elements. They have a great avatar. They have nice covers. Additionally, their biographies can be used to create a solid brand. Look for these great building blocks when looking to scoop up social media accounts. Stay away from accounts that are so specific or so generic that you really can’t use them to build a solid brand. Keep in mind that if you were to make adjustments to these branding elements, you would be increasing your overall cost profile. Look for accounts that already have significant branding elements, so you can save quite a bit of money in terms of covers, avatars and what have you. Keep in mind that if you’re dealing with a very small number of accounts, this is not going to add up to much. However, if you are looking to build a vast network, and we’re talking about several dozens if not over a hundred accounts, you can bet that inflexible brand elements of the accounts you’re buying will mean that you’re going to have to spend a few hundred dollars. You would be better off spending those few hundred bucks growing out and optimizing your network. Bioflexibility simply means that the existing biographies of the accounts that you’re buying can accommodate a wide range of niche specializations. This translates to a more manageable usage of these accounts. You’re not necessarily wed to or hardwired to a specific set of topics. A little flexibility goes a long way because if you’re building a very large network, you want to use the accounts as is. You don’t seriously want to have to jump in and make necessary changes. It may seem like you’re just changing a couple of sentences, and it would take a minute or two. Well, if you are going to do that for hundreds of accounts, you’re going to have to devote a huge chunk of your time, and this can get old really quickly. Nothing says credibility and authority more than current followers. Keep in mind that these existing followers probably aren’t going to help you all that much because they apparently are not directly interested in the niche that you would be promoting, but that’s beside the point. The point here is that when your accounts start publishing content and start engaging automatically using software, the fact that your accounts already have existing followers make them less likely to be considered spam accounts. They have an existing level of credibility coming in. This is a tremendous advantage because you can bet that your competitors who are doing automated social media marketing could be using fresh or virgin accounts. These are easy to spot and are more likely to get banned. If you’re buying social media accounts that have been aged, they’ve been around the block a few times. They probably have some followers. They also have many indications of authenticity, credibility, and authority. This is all well and good, but it’s important to make sure that they also have quite a bit of content. The more content they have, the more authentic they look. It would be very hard for administrators to make a judgment call against them because they have this decent posting volume. Compare this situation with an account that has absolutely zero posts, and suddenly it starts spitting out a huge amount of content. That is a red flag. It doesn’t look authentic, and it doesn’t look natural. Keep this in mind because that decent posting volume of the accounts that you are buying can spell the difference between those accounts helping you because they remain active for a long time, or they turn out to be a complete and total waste of your dollars because they got banned. It’s your choice. If you’re buying social media accounts in bulk, it goes without saying that you’re going to be using some sort of automation software to handle all those accounts. Unless you’re a masochist or you just simply have too much time on your hands, it doesn’t make it any sense to handle those accounts manually. Keep this automation factor in mind when buying accounts because the accounts that you purchase should be friendly to automation. In other words, their posting volume should be high enough so that it doesn’t seem like there’s a big break between the time they were sold and the time you started feeding them into your automation software. Compare this situation with buying completely fresh or virgin accounts. These accounts have absolutely no activity and, suddenly, there’s an abrupt spike in the content they start blasting out. That is a red flag for social media platforms automated anti-spam systems and don’t be surprised if some or many or even most of those accounts start getting banned. 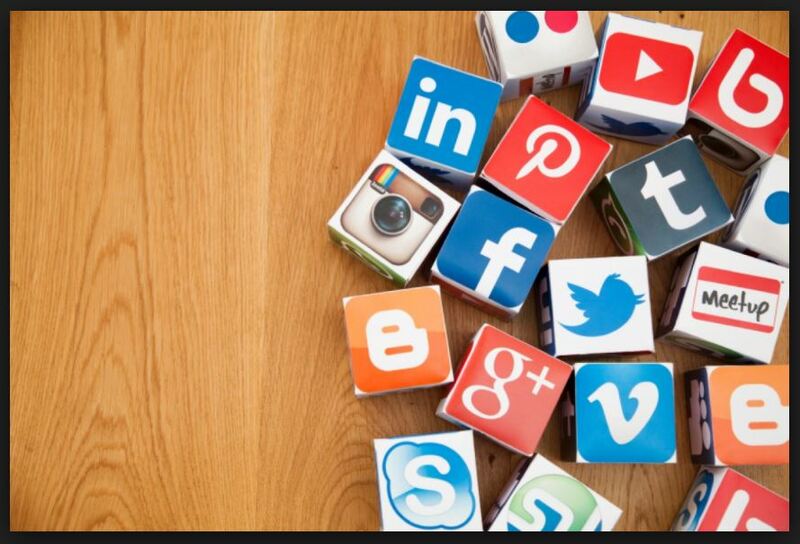 When buying social media accounts, make sure that they are brand-ready. In other words, the content that they push out as well as their engagement is not so personal that it’s going to be very hard to transform them into brand accounts or brand-centered accounts. For example, if you buy an Instagram account of a profile that only talks about personal things and all the topics are very intimate and personality-driven, it’s probably going to be a bit more challenging to convert that account into a brand support account. Keep this in mind because if done in isolation, and if it merely affects a handful of accounts, this factor is most likely not a big deal. However, if the vast majority of the accounts that you’re saying suffer from this issue, then you might have a big problem on your hands because your messaging is going to fall short. Something won’t click as far as your marketing objectives are concerned. Keep the seven factors above in mind when purchasing social media accounts. Social media accounts for sale are not created equal. Some can help you tremendously; the vast majority won’t. Learn to spot the difference; otherwise, you’re going to end up wasting all those hard-earned dollars on duds. The following article was a guest blog entry from one of our readers. Thank you!